Property developer Paddy McKillen was described by Anglo Irish Bank as a successful, high net worth individual who could actively participate in Ireland's recovery, the Commercial Court has heard today. The developer is challenging the transfer of his loans to the National Asset Management Agency. The chief executive of the bank, Mike Aynsley, wrote to NAMA in June and said he was disappointed that Mr McKillen had become disillusioned, frustrated and alienated because of the proposed transfer of his loans and the lack of explanation for this decision. Mr Aynsley told NAMA that Mr McKillen, who owes €800m to Anglo Irish Bank, was someone who had the capacity to actively participate in Ireland's recovery. He said only €5m of the money he owed to Anglo was for land and development loans. Mr Aynsley urged NAMA to meet Mr McKillen and explain the rationale for its decision. Anglo Irish Bank objected to NAMA's intention to transfer its loans to Mr McKillen into NAMA. The letter was read to the three judge court this afternoon by Mr McKillen's senior counsel, Michael Cush. Earlier, another of Mr McKillen's senior counsel asked the court to refer a decision from the European Commission approving NAMA back to the Commission to clarify its meaning. Mr McKillen's lawyers say a proper interpretation of the Commission's decision means that only borrowers who are impaired can be taken into NAMA. Senior Counsel John Gleeson said that if the court found against them on that issue, they were formally asking that this issue be clarified with the Commission. Mr McKillen's lawyers also told the Commercial Court that the only reason the National Asset Management Agency (NAMA) decided to acquire his loans was because of the amount of money Mr McKillen owed to Irish banks. Mr McKillen argues that NAMA did not take into account relevant considerations when deciding that his loans of just over €2 billion constituted a systemic risk to the Irish banking system. His lawyers say no qualitative assessment of his loan portfolio was carried out in advance of NAMA's taking a decision to acquire his loans. Factors such as the fact that the loans were performing, the geographical spread of his properties and the diversity of his portfolio, which includes hotels and shopping centres, were not considered, Senior Counsel Michael Cush told the three-judge court. Mr Cush said Mr McKillen was not arguing that systemic risk was not a valid basis on which to make a decision to acquire loans - just that the decision had to be made in the right way. 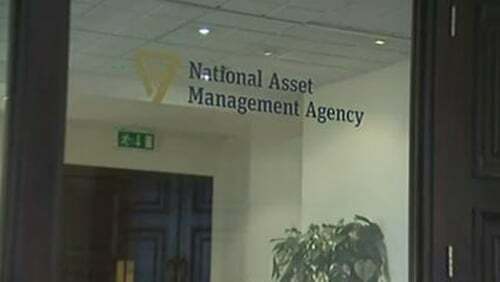 Mr Cush also argued that the decision to acquire Mr McKillen's loans was made by officials from the National Treasury Management Agency on December 11 and 14 last year - before NAMA was set up on December 21. He said the decision could not have been validly ratified. NAMA says the National Treasury Management Agency had full authority to carry out all preparatory work for NAMA. And it says the decision to acquire Mr McKillen's loans was approved by the board of NAMA in January this year. It is expected that Mr McKillen's lawyers will finish their submissions to the court by lunchtime tomorrow. After that, the Attorney General, Senior Counsel, Paul Gallagher is expected to begin outlining the State's case.